Cherry Blossom Alert: Sakura foods and drinks in Japan! Sakura season is upon us in Japan and it’s not just about seeing the blossoms. We want to eat it, drink it, and ascend to the sakura pink palace of bliss. We guide you through the top sakura flavored releases! We can always rely on Starbucks to jump on the sakura bandwagon! This year they released the Sakuraful Latte & Frappuccino from February 15th. Both drinks are topped with dark and baby pink chocolate flakes reminiscent of sakura petals. Starbucks also released a convenient store style drink for your sakura craving on the go! The drink features a milky sakura chocolate base with strawberry jelly. Read the full story of this tasty journey here. Mister Donuts, known as Dunkin’ Donuts in the United States, released a lineup of sakura donuts baked with pink cherry blossom flavored dough. 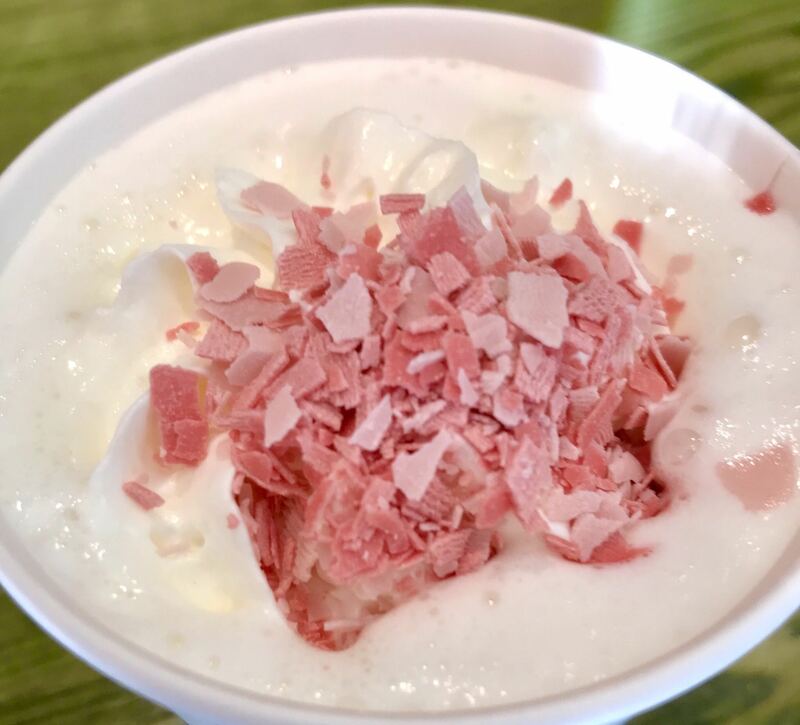 After eating and drinking our way through Japan’s sakura wonderland of treats we ask ourselves “How can we describe the elusive taste of sakura?” We say its flavor is sweet and floral with a hint of fruity sourness like a strawberry. However, it’s open to interpretation since everyone puts their own twist on the seasonal delight.